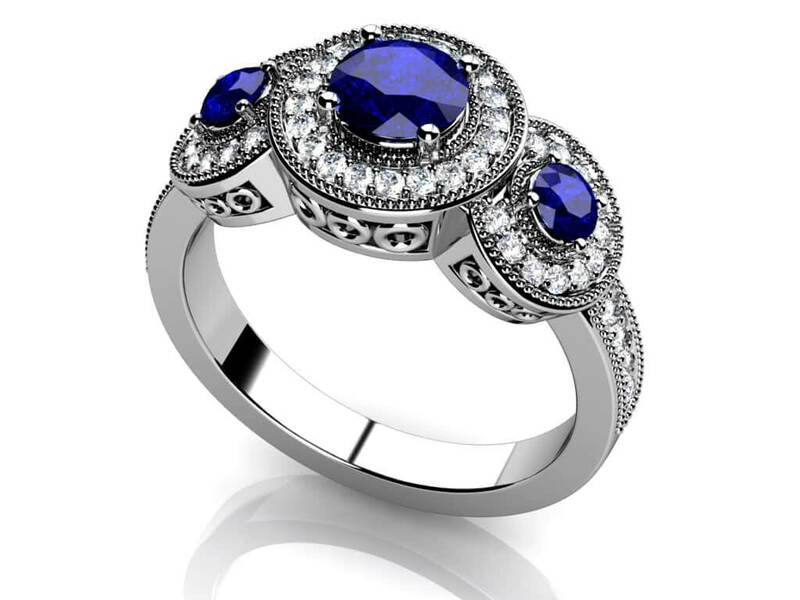 This anniversary ring features three sections containing gemstones surrounded by brilliant round diamonds. 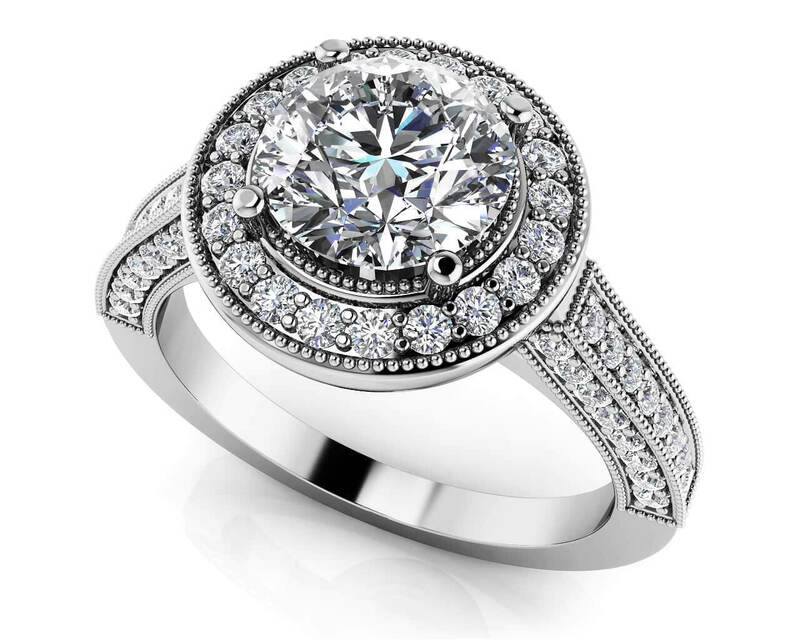 The center section is a large round gemstone surrounded by millgrain edge details and a row of diamonds around it – all in a circular shape. On either side is a slightly smaller gemstone set in the same design. 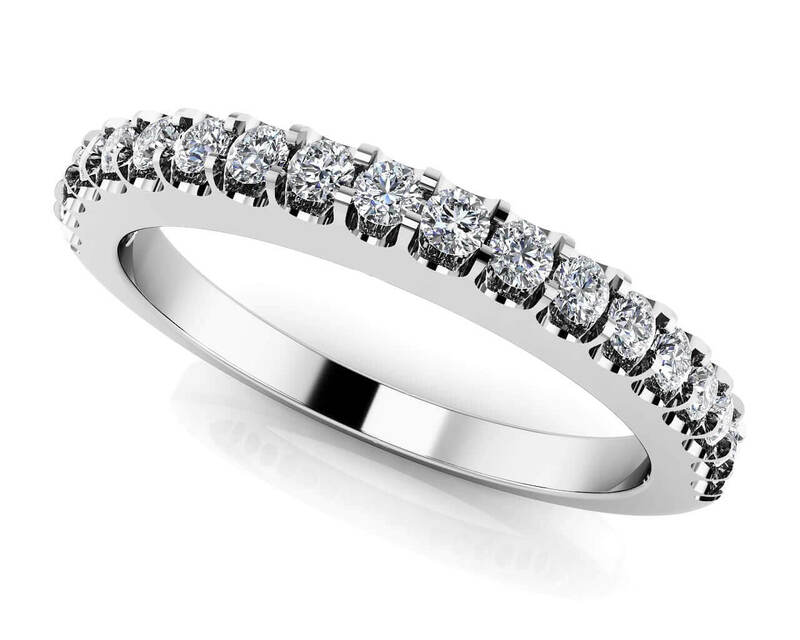 With diamonds set along the shank also, there is so much sparkle to this style! Choose from three sizes ranging from .50 to 1.48 total diamond weights and your favorite metal type to create a truly memorable ring. Stone Carat Weight: 34X.005 ct., 8X.007 ct., 2X0.041 ct., 1X0.190 ct.